Volunteering as a group on a Care & Community project in Myanmar is a unique, challenging and hugely rewarding experience. Experience a true Southeast Asian culture, untouched from years of tourism and provide help to people that really need it. Regardless of whether you’re a group from school, some friends from university, a group of work colleagues looking for a fulfilling break or an organisation looking to take your skills further afield, you will have a role to play and your contribution will be valued immensely. Following decades of military rule, Myanmar is emerging from solitude and is opening up to investment and tourism from the outside world. With this comes rapid political, economic and social changes and many of the country’s people are benefitting from this. However, many of the country’s most vulnerable groups, such as children and people with disabilities, are still struggling to get the care that they desperately need. This problem will most likely continue for many years to come. There are now many organisations doing amazing work to change this, but the work of groups of volunteers is greatly needed to help as many children and vulnerable groups as possible. Volunteering on a Care Project in Myanmar gives you and your group the opportunity to directly help and contribute to the lives of those that most need it in the country. 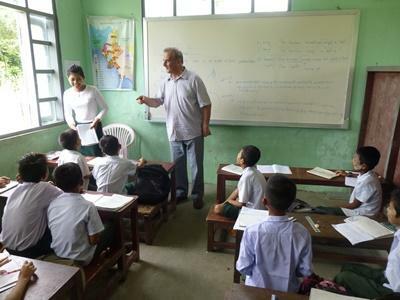 Volunteering as a group, you will all be working at one of our partner placements in Yangon. Many of the children at these placements are from underprivileged backgrounds while some may be students from a school for the deaf. Your group will be involved with supporting the local staff, as well as preparing and supervising educational activities for the children. Other activities will involve helping to run extra-curricular activities such as English lessons, drama classes, arts & crafts activities and dance classes. If any members of the group have any particular skills that they feel they can teach as an extra-curricular activity then let us know. While providing much-needed support for the full-time professional staff at these organisations, your focus will be on encouraging creativity and providing cultural and language exchange. 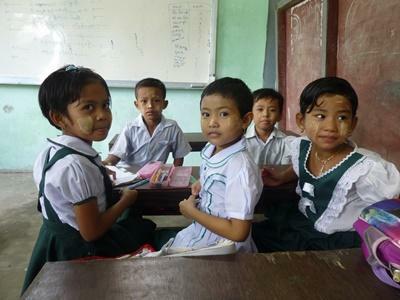 Groups do not need any qualifications to join the Myanmar Care Project. Sign language skills would be an advantage for volunteers working in the school or the deaf, but this is not a requirement. Other activities may include getting the group involved in a more community based aspect such as helping to renovate a classroom, painting part of a child’s home or putting together a sport tournament with the local children. In the evenings and at the weekends your group will have free time to do as you please, whether its relaxing on the beach, exploring the city or travelling to tourist attractions further afield. For more information on leisure activities then feel free to contact us or contact our local staff on the ground, we’ll be able to suggest all sorts of ideas!